Low phosphorus availability is a primary constraint for plant growth in terrestrial ecosystems. Lateral root initiation and elongation may play an important role in the uptake of immobile nutrients such as phosphorus by increasing soil exploration and phosphorus acquisition. The objective of this study was to identify quantitative trait loci (QTLs) controlling lateral root length (LRL), number (LRN), and plasticity of the primary seedling root of maize under varying phosphorus availability. 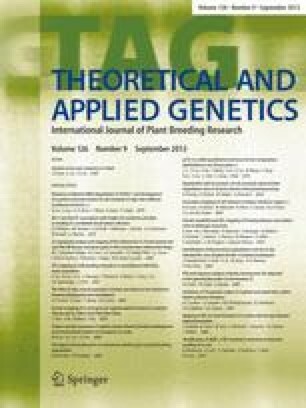 Using a cigar roll culture in a controlled environment, we evaluated primary root LRL and LRN at low and high phosphorus availability in 160 recombinant inbred lines (RILs) derived from a cross between maize genotypes B73 and Mo17, which have contrasting adaptation to low phosphorus availability in the field. Low phosphorus availability increased LRL by 19% in Mo17, the phosphorus-efficient parent, but significantly decreased LRL in B73, the phosphorus-inefficient genotype. Substantial genetic variation and transgressive segregation for LRL and LRN existed in the population. The plasticity of LRL ranged from −100% to 146.3%, with a mean of 30.4%, and the plasticity of LRN ranged from −82.2% to 164.1%, with a mean of 18.5%. On the basis of composite interval mapping with a LOD threshold of 3.27, one QTL was associated with LRN plasticity, five QTLs were associated with LRL and one QTL was associated with LRN under high fertility. Under low fertility, six QTLs were associated with LRL and one QTL with LRN. No QTLs were detected for plasticity of LRL. A number of RILs exceeded Mo17, the phosphorus-efficient parent, for LRL, LRN, and plasticity. The detection of QTLs for these traits, in combination with the observation of transgressive segregants in our population, indicates that favorable alleles can be combined to increase seedling lateral root growth in maize. We thank Dr. Richard Craig for his helpful discussion on the experimental design and statistical analysis. This research was supported by USDA-NRI grant 00353009246 to Shawn M. Kaeppler and Jonathan P. Lynch.